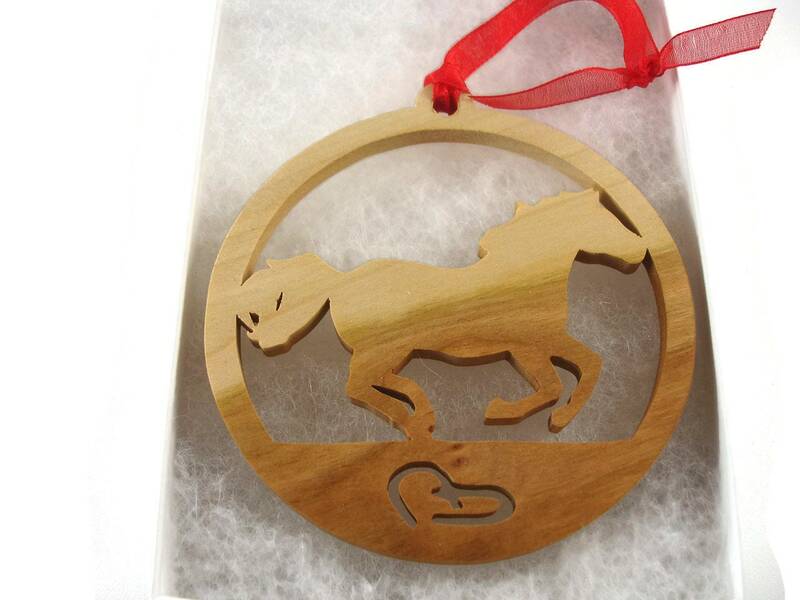 If you or someone you know has horses, rides, trains or works with horses then this handmade running horse with horse shoes Christmas ornament is the perfect gift to get for yourself or that special horse loving person. 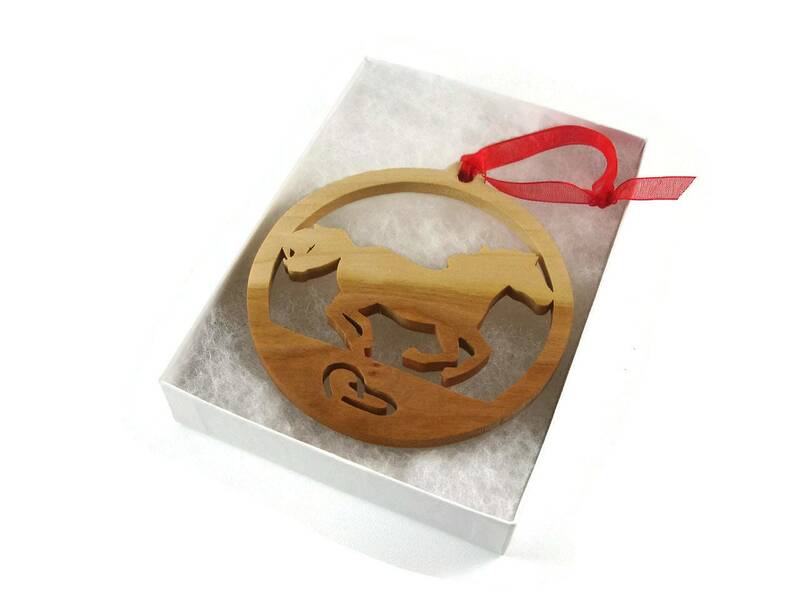 This running horse Christmas ornament was cut out by hand ( Handmade ) from Cherry wood using a scroll saw. 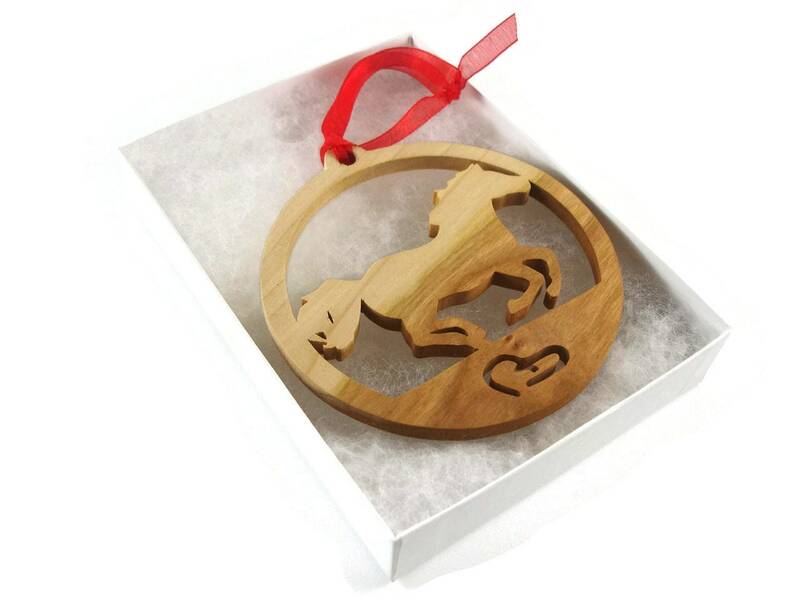 Features a running horse scene with two horse shoe cutouts near the bottom. 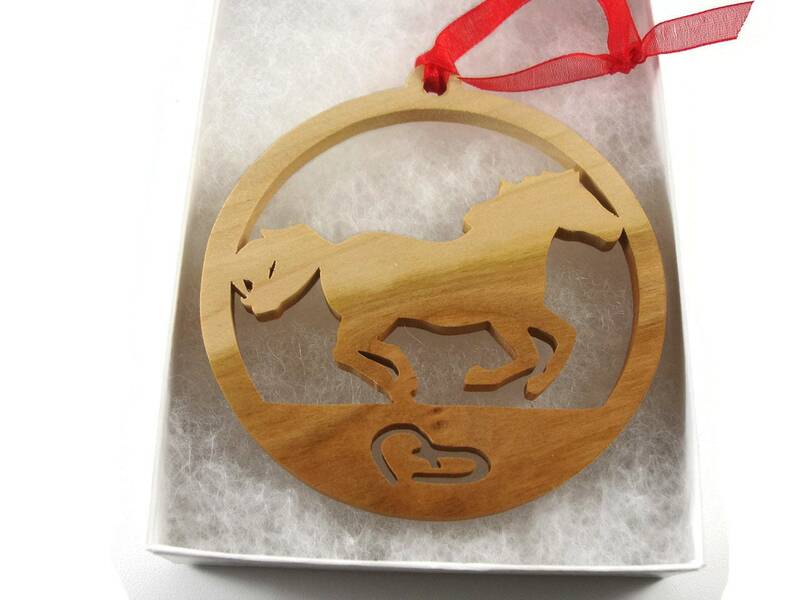 A various color fabric ribbon is attached for ease of hanging on your Christmas tree. 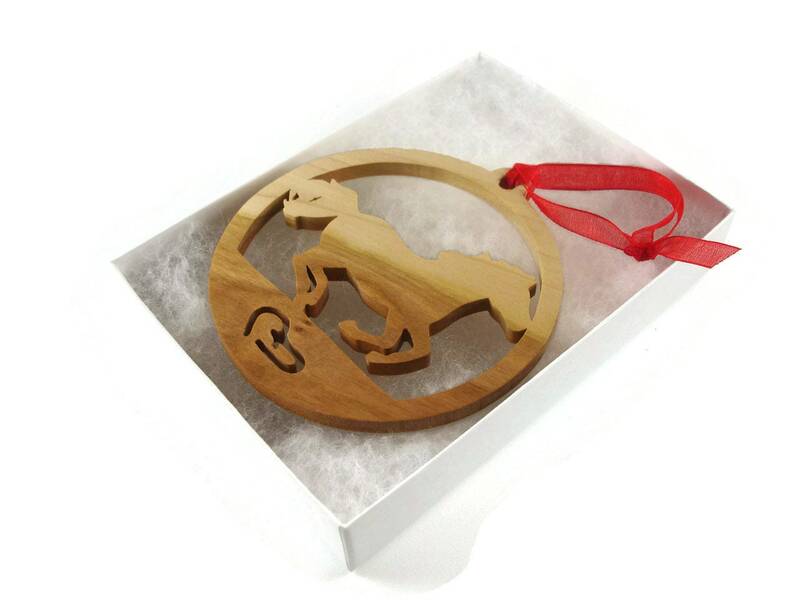 A natural non-toxic beeswax and mineral oil finish was applied for a beautiful natural wood look while giving it protection from the elements.